Currently, final checks are ongoing prior to start of test supplies as part of the Phase 1 of the Trans Anatolian Natural Gas Pipeline (TANAP), which is a part of the Southern Gas Corridor project that envisages transportation of Azerbaijani gas to Europe, a source in TANAP consortium told Trend. "Line fill will be completed by the end of June. This is what you called test. Currently final checks are ongoing prior to start of line fill," said the source. The source noted that first there will be transmitted 40 million cubic meters of gas and then it will gradually rise to 85 million cubic meters. 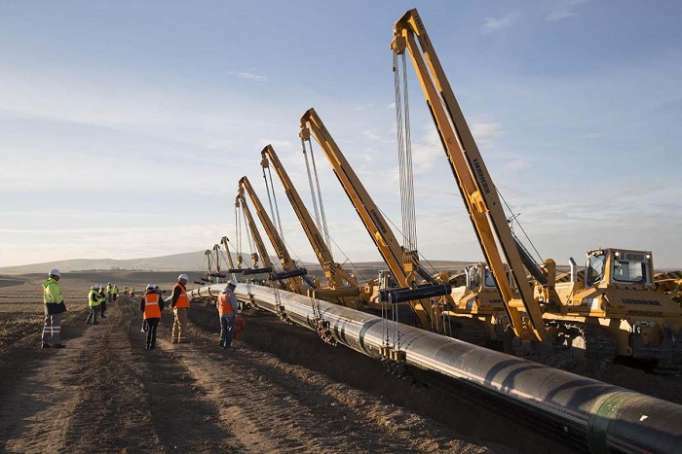 "The amount of gas will stay in TANAP, since we are not yet connected to the Trans Adriatic Pipeline (TAP)," concluded the source. Earlier, Saltuk Duzyol, head of TANAP consortium said that test supplies as part of the Phase 1 of TANAP will begin from April 15, 2019. Noting that the overall progress on TANAP is 98 percent, Saltuk said if everything goes in accordance with the schedule, TANAP is expected to start gas supplies to Europe on July 1. TANAP project envisages transportation of gas from Azerbaijan's Shah Deniz field to the western borders of Turkey. The share distribution of TANAP shareholders is as follows: Southern Gas Corridor CJSC - 51 percent, SOCAR Turkey Enerji - 7 percent, Botas - 30 percent, BP - 12 percent.